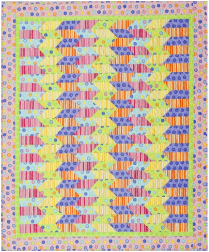 For more than 20 years, The Quilt Branch has been designing unique quilt patterns. The sizes and styles vary, and many of the quilts can be made in multiple sizes. Click on the size below to see which patterns have instructions for the type of project you have in mind. You can also see all the quilts on one page here.